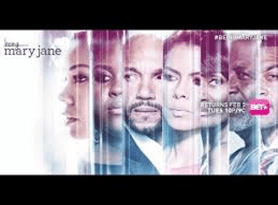 If you love Gabriel Union then you will love her role in the hit TV series Being Mary Jane. I am in the second season, and I am inspired by her life, her struggles and her independence to replicate the life of a living Barbie doll. She is living the dream, but with that dream life come the tough struggles of trying to settle and have a family of her own. Gabrielle Union plays the lead role of Mary Jane Paul, a successful cable news anchor who has a closet packed with: designer clothes and shoes, a beautiful home, a nice car, and the drive to achieve even greater heights. Despite all this, something is missing. As Mary Jane looks to start a family of her own to share life’s greatest gifts, she discovers who she really is and the people who help define her. Focusing on her romantic affairs with her lovers (who vary from married men to playboys) Mary Jane knows how to play her cards well. I’ve said too much, and in an effort to not be a buzz kill, I will not spoil the fun. If you love the game you will love Being Mary Jane. Next articleWin Cool Prizes with Fresh! !